A 24-year old woman, Miss Oluchukwu, have allegedly been rejected by her family over her refusal to sell her day-old baby boy after she delivered him out of wedlock. Oluchukwu, an indigene of Ebonyi State, whose family resides at Awka Etiti in Idemili South area of Anambra State, was said to have refused advise of aborting the pregnancy after she got pregnant for a boyfriend. The victim, was however reportedly picked by a non governmental organization, SAFENEST, after she ran away from the family to Awka, where she later put to bed. 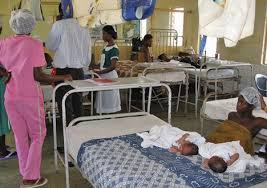 Speaking on Sunday in Awka at a seminar organised by the group, the Executive Director of SAFENEST, Mrs Oluchukwu Ckukwuenyem, said she contacted her family to break the good news of her delivery to them. She said the victim was rather advised to sell the baby for her upkeep and be sure not to return to the family with it. “We were so amazed when we learnt of this, and we have taken it upon ourselves to take care of her and the baby. She is currently in a location we put her. We do not want to release her exact location, but I can tell you she is doing well. “How much will she sell the baby that can assuage her sufferings for nine months?” Oluchukwu said. She revealed that within a year of the operations of her NGO, she has discovered that most families were threatened by very flimsy excuses, and have gone ahead to experience serious problems like division, divorce and even murder. Oluchukwu admitted that abuse of substances like hard drug, alcohol and others were primarily behind the cause of violence in families.